I’ll give you everything a sunflower needs. Still swimming in their pride. If you will always turn to face the sun. You’ll never hear me asking you to leave. Because you always turn to face the sun. Self-discipline may open new channels of creative expression, but relying on what we can discover alone, in a single lifetime, can limit what flows through those channels. There are those ahead of us who have learned the wisdom of the ages. 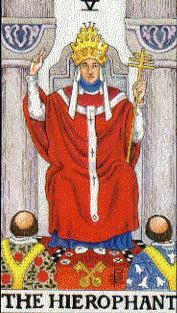 The lesson of the Hierophant is that what cannot be acquired alone in one lifetime must be handed down as a body of accumulated wisdom from one generation to the next.